Our basement is getting closer to being completed. Just a few more finishing touches. 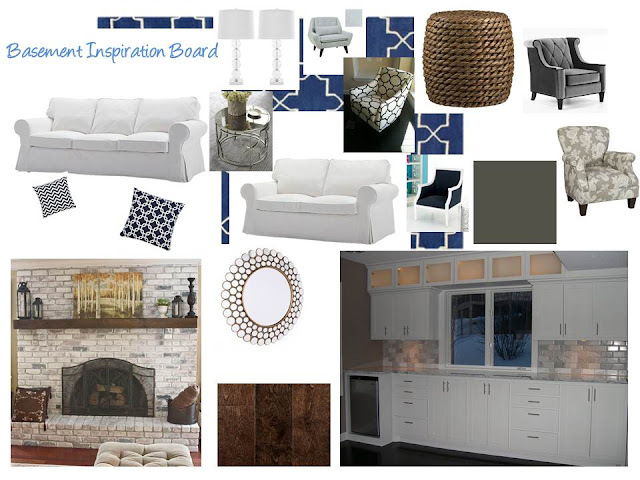 Here is the inspiration board that I made that we will be working off of. Cannot WAIT for it to be done! I have a few accent chairs on here because we haven't really picked any out or made up our mind yet. I am thinking I should probably go with a pattern, but I know we will know the right thing when we see it. Not sure on tables yet either.